The commercial featuring that loud, quacking duck has gone a long way to making people think about individual disability coverage as a way to keep bills paid if the family breadwinner gets sick or injured over an extended period of time. It’s true — individual disability insurance is more important than ever, and every working individual should have it. The key is shopping smart for that coverage. A financial planning professional is a good first stop for advice on that coverage, which should be considered as part of an overall financial plan. Why is it a good idea to have personal disability coverage, particularly when most employees can buy such coverage at work for a nominal fee? That’s because most employers offer disability coverage that lasts 12 weeks or less and covers less than 60 percent of a worker’s pretax income. That might be workable for a surgery or injury with a relatively quick recovery time on the couch, but a diagnosis for even the most curable cancers can put workers with even the best financial coverage into a devastating financial bind. And if you are self-employed, the need for the best, most flexible long-term disability insurance is even more important because other than your own resources, that coverage will be your own safety net. If you’re considering becoming self-employed or might lose your job due to layoff: The time to buy long-term disability coverage is NOW. Insurers will base your initial coverage limits on what you’re earning in your current job, which is important since entrepreneurs and unemployed often earn considerably less – at least for awhile — once they’ve left their current employer. Make sure you can purchase more coverage as your income increases: Because you stand to earn more in future working years – if only based on inflation – you should make sure your benefit levels can rise to meet the demands of replacing that income if you need to in the future. Obviously, people who expect to make vastly higher salaries in the future need to plan for this. Check for a non-cancellation feature: Make sure that once you’re approved, the insurer can’t cut your coverage unless it decides to stop writing coverage for everyone in your job class. It should also state that the insurer can’t raise your rates based on the benefits you’re to receive. Compare benefits and premium cost: Get bids from several carriers and consider going to more than one agent. The premium you pay will depend on a wide array of factors and can vary dramatically from person to person. Such things as your age and your gender (women pay more for disability insurance because they currently tend to live and work longer, for example) will be a factor in what you pay. Go for “own occupation” coverage: Even if you are able to work in a different capacity, own-occupation disability insurance will provide you with the income replacement you need if you are unable to work in your current occupation. Make sure you understand how that coverage fits your current profession. Know what “elimination period” means: Like a deductible in home, health or car insurance, the elimination period is a big cost determinant in disability coverage. (It’s actually a big factor in long-term care policies as well.) Most long-term disability policies will kick in after 30 days after you’ve been declared disabled. But if you specify an elimination period of 60, 90 or 120 days, your premium will be lower. An important point about the 30-day elimination period: the benefits don’t start accumulating until you’ve been laid up a month after the ruling date and you won’t get your payment until a month after that. Be very clear with your insurer when you’ll get your first check based on what elimination period you choose, and make sure you have a cash cushion to cover that need in your emergency fund. What’s your benefit term: For each disabling incident, your policy may pay benefits for a certain period – two, five years or until retirement. It’s all in how your policy is constructed. Many policies may pay for life if you purchase this benefit and you are disabled prior to age 60. Also, make sure there’s language that increases your benefits as your income increases over time. See if there’s a residual benefit feature: Some policies may offer you ‘residual benefits’ or a partial payment if you’re less than 100 percent disabled, but still can’t perform all the duties of your job. 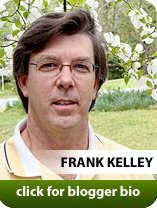 April 2010 — This column is produced by the Financial Planning Association, the membership organization for the financial planning community, and is provided by Frank Kelly, CFP®, a local member of FPA.